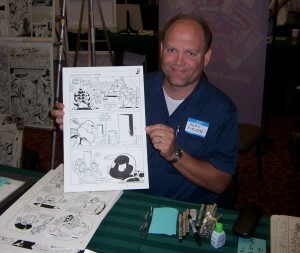 Gary Fields is an american comic book artist, illustrator, and cartoonist. He has worked for Archie Comics (1995-2001) and also Mirage Studios (1987-1998). He has worked on a number of TMNT comics.